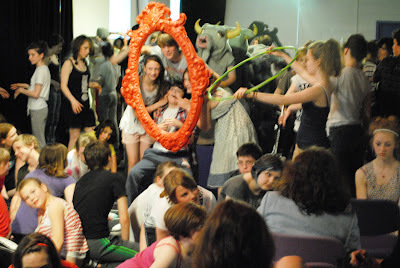 Scottish Youth Theatre Blog: SF 11 Week 2 ... is over! Already?! Hi everyone, hope you're enjoying your Saturday night off from rehearsals. Week 2 is now at a close; so that's two weeks down for Performance & Production and Technical participants, and the end of week 1 for the Glasgow Foundation Course. 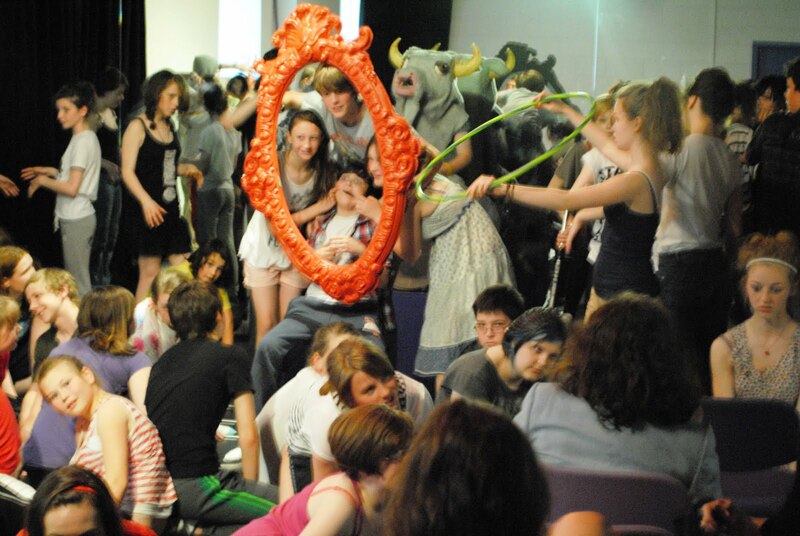 Things are getting exciting as the Glasgow Foundation Course prepare for their performance at Lansdowne Church on Saturday 23 July and the casts and crews of both Born Bad? and Prom Night are starting to run shows through, start to finish. I was lucky enough to see Prom Night Act One on Wednesday and scenes from Born Bad? on Friday. The musical numbers in Prom Night are big, bold and fun, with the script flipping between downright funny to really poignant. If you haven't already, check out the pictures here. One minute, full-on musical numbers with catchy lyrics and even catchier beats (thanks to Ross Brown) have everyone smiling and ready to dance. The next, high school students are morphing into terrifying creatures with even more terrifying accents to match. Mary came back from London last year and said she'd seen this amazing play that she'd like to include in the festival: "It's kind of like Grease meets Night Of The Living Dead. Oh and there's werewolves, witches and monsters in it too". At the time, hard to imagine! Now that it has arrived in Glasgow ... well, let's just say it was a very good choice indeed. And then there's Born Bad?, a play that couldn't be more different from Prom Night - but let me tell you, it's just as compelling. The subject matter is serious and so the script reflects this; I watched director Fraser MacLeod run through a very intense scene with Calum Johnston and Jamie Morrison in the Gold Room. Even just watching in the rehearsal room you feel very involved. Within a very short time of being in the Brian Cox Studio, with the full cast, I was completely gripped too (and forgot the reason I was there was to take photos!). I also had goose bumps all over my arms when the cast started making these eerie, whispery sound effects. I won't spoil too much, but there's some pretty cool sound scaping going on in this show. Do you have your tickets yet? Why not?! Book online with our friends at Tron Theatre. Below are some images from Born Bad? rehearsals and the Glasgow Foundation course. 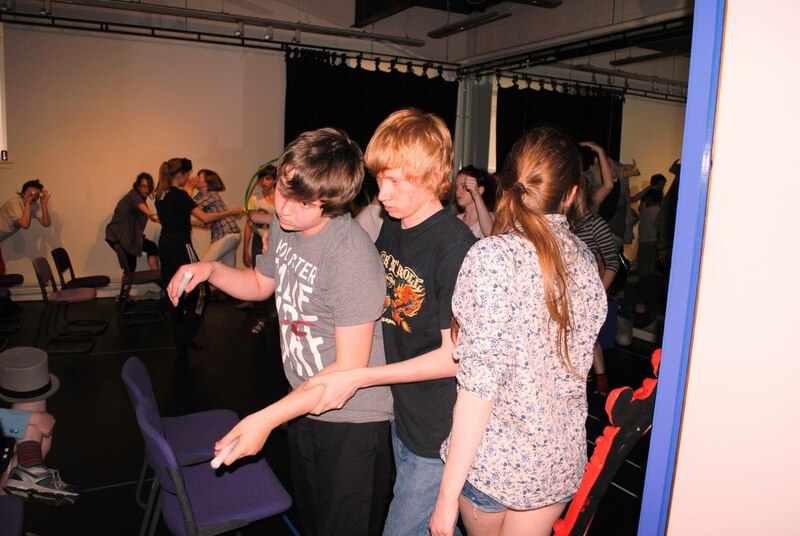 For Prom Night rehearsals at Limelight Studios, check out our Flickr page. Of course, I'm biased but it really looks to me like The Summer of Horror has something for everyone: an all singing, all dancing rock musical with heart; a serious, gripping, moving and challenging play about nature versus nurture and then a devised piece about Zombies - which could go in any direction at all! Why are you still reading?? The Tron Box Office is this way!